The Australian Financial Complaints Authority has appointed Mr Geoff Browne to be its inaugural lead ombudsman for small business. Mr Browne was appointed to the role last week having served as Victorian small business commissioner for several years. Under the AFCA rules a small business is an organisation with less than 100 employees; these are the businesses that will be under Mr Browne’s remit. Mr Browne said he was delighted to be taking on the role at AFCA and looked forward to working with small businesses. “Providing access to effective dispute resolution for small businesses is something I am very committed to. I’m looking forward to working with both the small business sector and the financial industry to ensure AFCA delivers fair solutions to financial complaints,” he said. AFCA chief executive and chief ombudsman David Locke said the appointment was a positive step for both small business and AFCA. Geoff has played an important role in improving dispute resolution outcomes for small businesses for many years, and brings firsthand knowledge of the challenges facing small businesses,” said Mr Locke. In the wake of the royal commission, Mr Locke said AFCA’s role in providing conflict resolution was more important than ever. 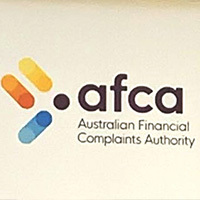 AFCA will consider complaints from small businesses about credit facilities up to $5 million and small business will also benefit from an increased compensation cap of $1 million. The appointment was met well by the industry with the chief executive of the council of small business organisations Peter Strong commending the appointment.